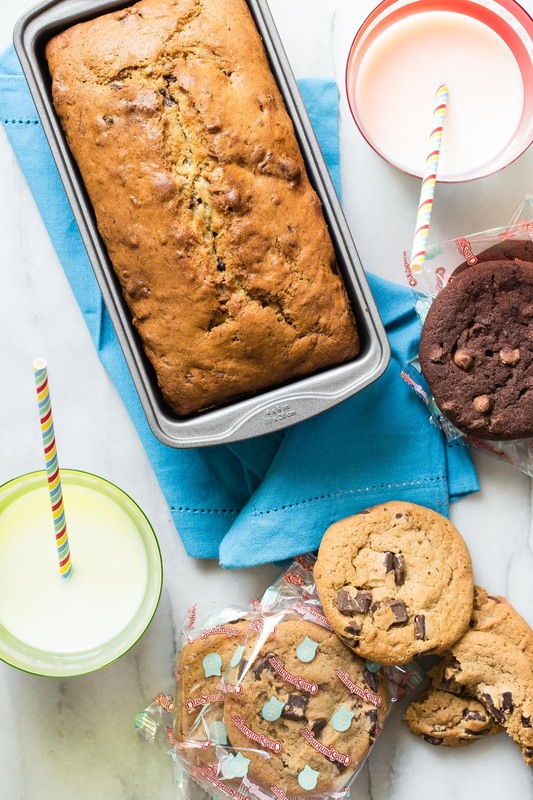 This Banana Chocolate Chip Cookie Bread turns one of your favorite nostalgic recipes and takes it from delicious to out of control incredible! Add it to school lunch for a fun treat, or make some with your kids after school to snack on while doing homework. 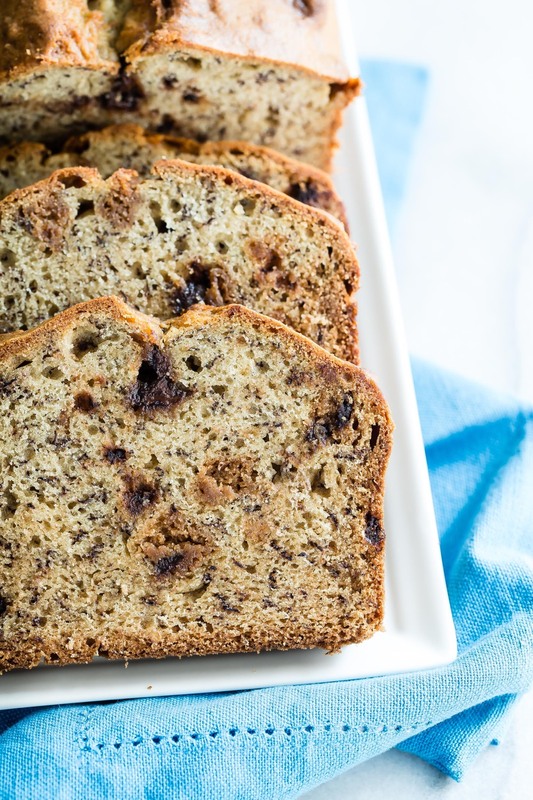 One of the first recipes I ever learned to make was a classic banana bread. To this day when I want to bring something to a sick friend, a mom with a new baby or someone I love, banana bread is always top of mind. On occasion I will add walnuts or chocolate chips to jazz it up a bit, but when I really want to take it to the next level I break up a batch of chocolate chip cookies for the ultimate surprise in every bite! 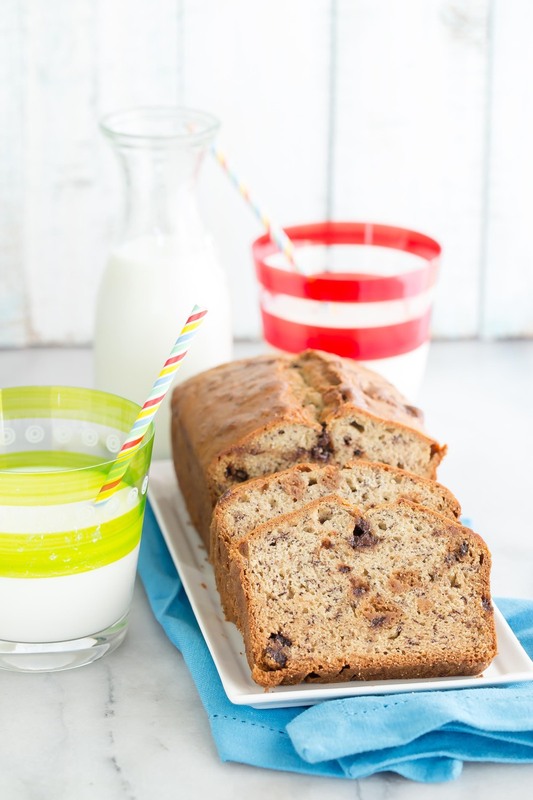 I usually keep a big batch of baked chocolate chip cookies labeled in zipper bags in the freezer, so I don’t have to make two full recipes from scratch for this Banana Chocolate Chip Bread. 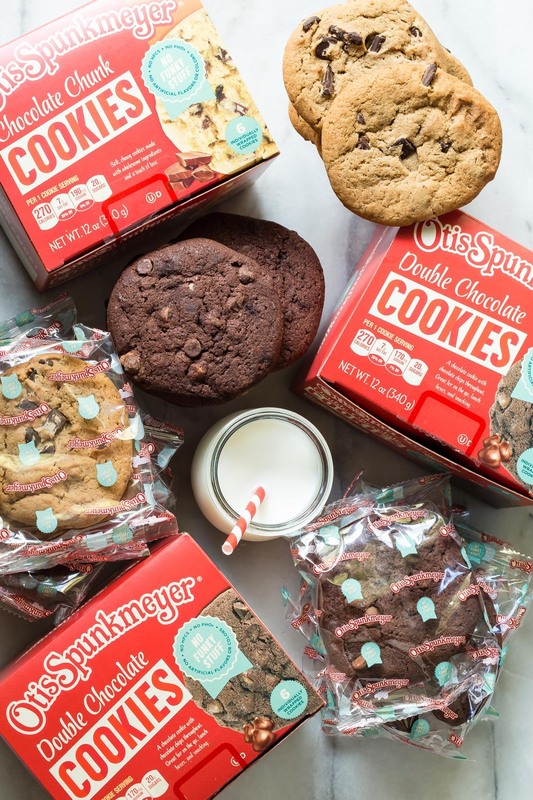 When I discovered Otis Spunkmeyer and their chocolate chunk cookie with No Funky Stuff I was intrigued. Usually when you buy store bought cookies you think of all the not so good for you ingredients inside, but their snack options are made without the junk. No artificial colors or flavors, no high fructose corn syrup, and no artificial oils! 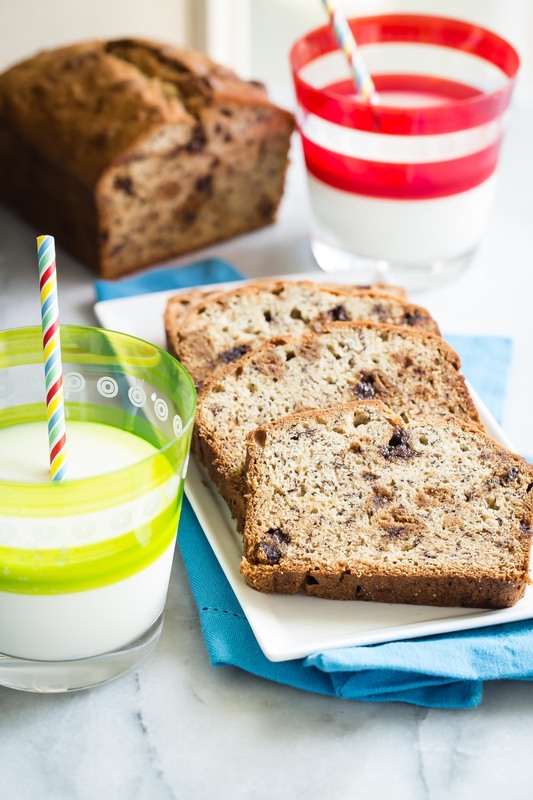 I gave a little twist to my favorite banana bread recipe my kids go bonkers for by adding white whole wheat flour for a little more nutrition. 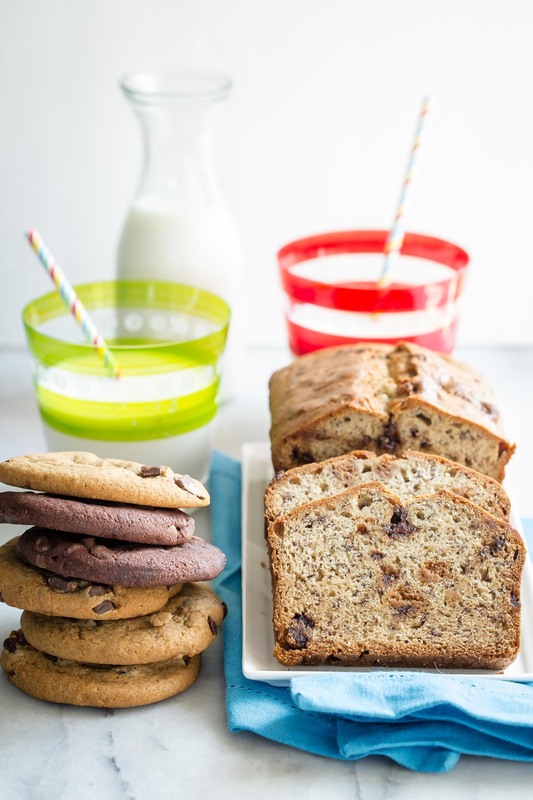 Pro tip: make sure to use ripe or spotty bananas as they make the Banana Chocolate Chip Cookie Bread super soft and moist, but just wait! When you take a bite you’re going to lose your mind. 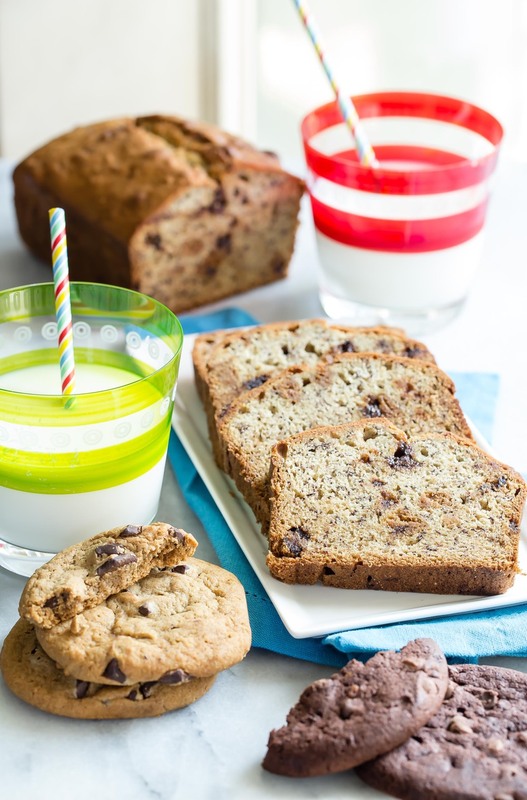 A bite of banana bread and a piece of their chocolate chunk cookies is pure heaven. You could also go off road and try the Otis Spunkmeyer Oatmeal Raisin or Double Chocolate Chip Cookie (No Funky Stuff versions of course). You can find them at your local Walmart or grocery! Top it with a dollop of fresh whipped cream, coconut whipped cream or vanilla ice cream and watch out as you blow everyone’s mind! 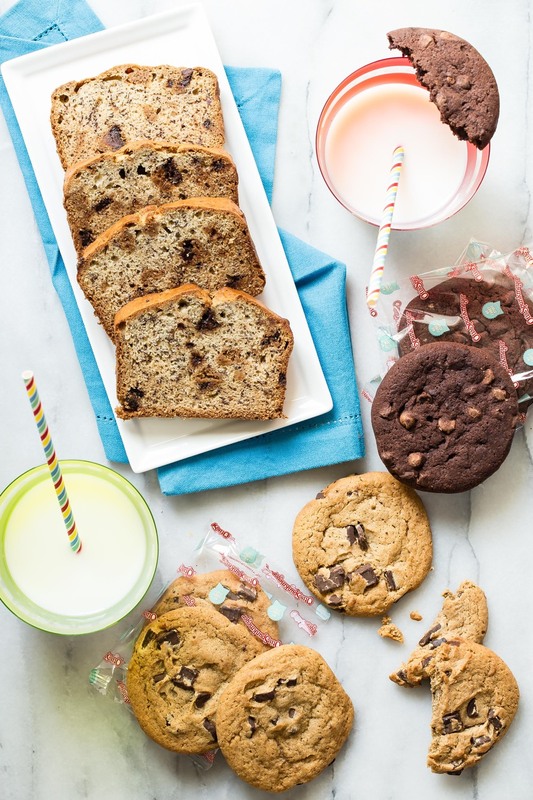 For a chance to win one $250 VISA gift card to treat yourself to something special, tell me your favorite cookie flavor in the comments below and create your own Otis Spunkmeyer recipe hack and share your creation on social media. Tag Weelicious (@weelicious) and Otis Spunkmeyer (@otisspunkmeyer) on Instagram, Facebook, Twitter, and Pinterest using the hashtag #OtisSnackHack for your chance to win! Prize_ One (1) lucky Weelicious reader will receive a $250 VISA gift card to try out all the Otis Spunkmeyer treats. This post is sponsored by Otis Spunkmeyer. All thoughts and opinions are my own. Duration_ This giveaway will be open until Monday, September 26th at 11_59pm PST. How To Enter_ Create your own Otis Spunkmeyer recipe hack and share your creation on social media. Tag Weelicious (@weelicious) and Otis Spunkmeyer (@otisspunkmeyer) on Instagram, Facebook, Twitter, and Pinterest using the hashtag #OtisSnackHack for your chance to win! 2. Place butter and sugar in the bowl of a standing mixer and cream together for 3 minutes or until light and fluffy. 3. Add eggs one at a time, then bananas, milk and vanilla until combined. 4. In a separate bowl whisk together the flour, baking soda and salt. 5. Gradually add the dry ingredients to the banana mixture followed by the chocolate chip cookies and mix until just combined making sure not to overly crush the cookies. 6. Pour the batter into a greased 8.5 x 4.5 loaf pan and bake for 1 hour or until a toothpick inserted into the center comes out clean. 7. Allow the bread to cool for 10 minutes and then remove to a cooling rack. * To freeze: Wrap the bread and then place in a labeled zipper bag for up to 3 months.